Wireless charging of mobile phones ! With the Samsung's new release Galaxy S3 , a lot has been going on in the news. Though being an undergrad, I find it a little difficult to fit into my budget there is no denying that it is a beautiful device. If Samsung is to be believed this device is "inspired by nature – it sees, listens, responds, and allows one to share the greatest moments." You can find a look and feel of it here. They have also given a lot of snapshots and performed many a comparisons with galaxy S and S2. Have a look at the features yourself. One talking point about the device has been the support for wireless charging. Dont you hate the mass of wires that comes out of the plug-point from a corner of your room? I'm personally annoyed with it. Not only it occupies some space in my room, I have also stepped on the pin of my mobile charger that gets into my phone a couple of times and trust me it cant take any more blows now. Is there a way out ? Well,now there is ! It may soon be a thing of the past. Coming back to S3, it doesnt provide you with the wireless charger, they ship the device with the normal wired charger we have been using. But, you can get a wireless charger separately and your phone will support it. Lets get to some technical stuff now. How does it work actually ? 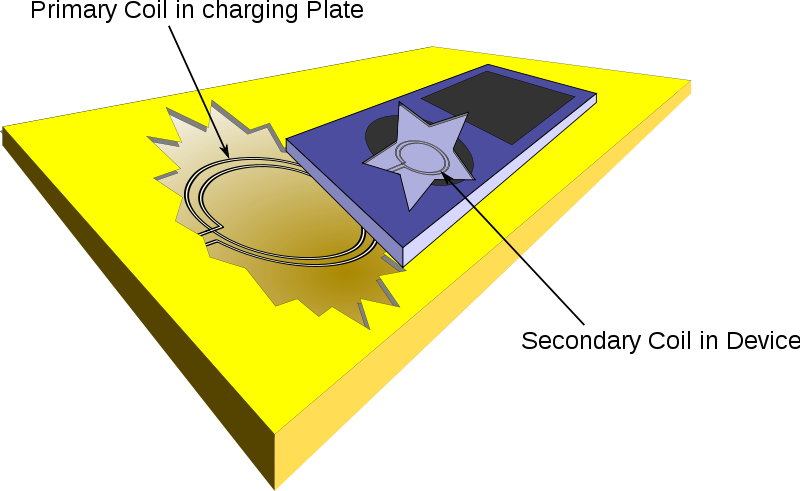 Among the engineers and scientists, its called inductive charging. Below is a picture from wiki to illustrate the same. There are two smart coils namely- primary and secondary. The primary coil is associated with the charger and a magnetic field is set up around this. When a mobile device is present in the area with magnetic field generated from the primary coil, electricity is transferred to the secondary coil available in the phone and this power is used to charge the battery of the device.